The Pure CF Sound Engine faithfully reproduces the tone of a meticulously sampled and highly acclaimed Yamaha concert grand piano. GHS weighted action is heavier in the low register and lighter in the high, just like an acoustic piano. Score Display puts music notation of Midi songs on the screen, helping you play your favorites by following the bouncing ball. The Piano Room lets you choose from a variety of pianos and acoustic settings to create your own personal piano environment. The 6-track recorder allows you to capture your performances and song ideas, then add additional layers to spice-up your pieces. 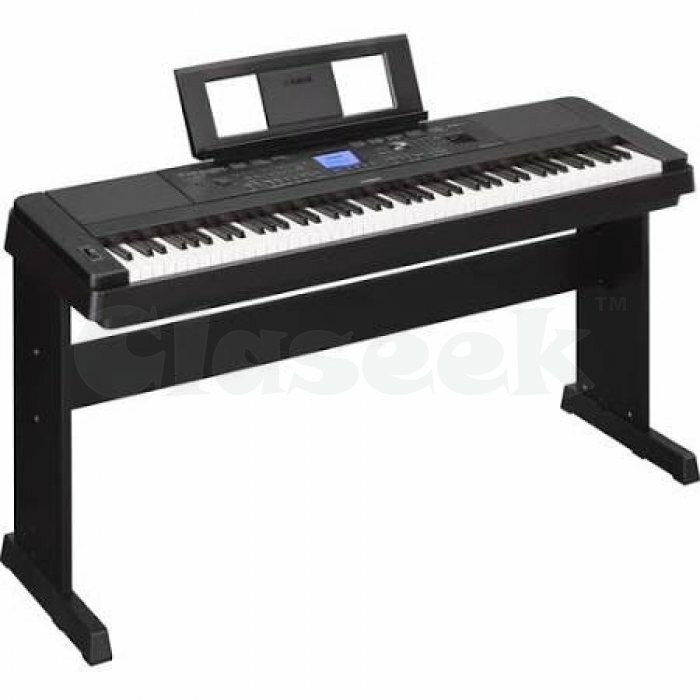 Enjoy Yamaha piano touch and tone, plus numerous features that help make playing music Fun. Sing along using the built-in microphone jack with vocal effects. Enjoy the Yamaha 'You Are The Artist' library for learning hit songs, using best-selling sheet music, or learn by following the scrolling notes on the built-in Score Display.